The Class of 2019 needs YOU! Eight seniors prepare to graduate this May – one of our largest classes ever. The Show-Me class of 2019 stands ready and well-trained to face the adult phase of life having completed, through the Path to Purpose (P2P) program: career assessments, job shadowing, learning to drive, training in personal finances, writing resumes, securing post-secondary education, and job searches. But, our task is not yet complete! 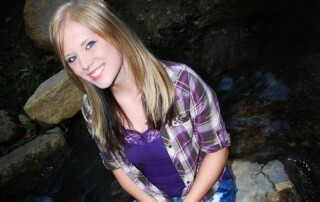 As they cross the bridge to adulthood, they will still need guidance, encouragement, and other resources. We believe that no child should “age out” of a program that they depend on – they should “age into” healthy adults with a family ready to walk with them. Our Show-Me’s family commitment to these young adults goes beyond graduation. Rescuing and Restoring Young Lives means working to keep each child on a positive path, removing obstacles, and helping them get back on it when they stumble. Even a small bump in the road can cause a person to suddenly end up in a ditch. We want them to always know the first place they can safely turn is their Show-Me family. We are committed to do anything we can to keep their momentum going in the right direction! Our Path to Purpose program was set up for this reason, not only to teach them the skills needed to become a productive member of society, but connect them to a network of positive support, which provides the resources needed to overcome the inevitable, unexpected twists of life. As a graduate of the P2P program, they have funds available to help when a need arises: extra money for text books, unexpected repairs, down-payments for housing/utilities, medications, continued counseling services, educational funding, and various emergency situations. We don’t think these qualify as “luxuries.” We expect them to work hard through the difficulties that life will continue to throw at them. Just like most of our parents who helped us along the way, We want them to thrive in the adult world. Our experience has shown us that one of the best investments we can make is providing them with reliable transportation. So, Show-Me has committed to each high school graduate, who has also completed every element of the P2P program, to pay for the first year of their auto insurance and provide them with a reliable starter vehicle. Praise God, several vehicles have already been donated- we only need 3 more! We’ve already invested so much into these young lives – let’s finish the task! Are you with us!?! 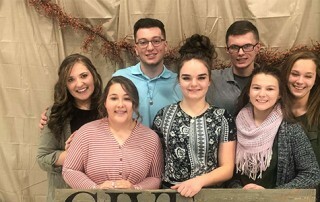 Your gift will equip these amazing young adults with the tools they need to keep them steady on the Path to Purpose God has for them. If you would like to contribute to our Path to Purpose program, you can do so here. If you would like to contribute to a specific need of our graduates, please check out our Class of 2019 Amazon wish list. 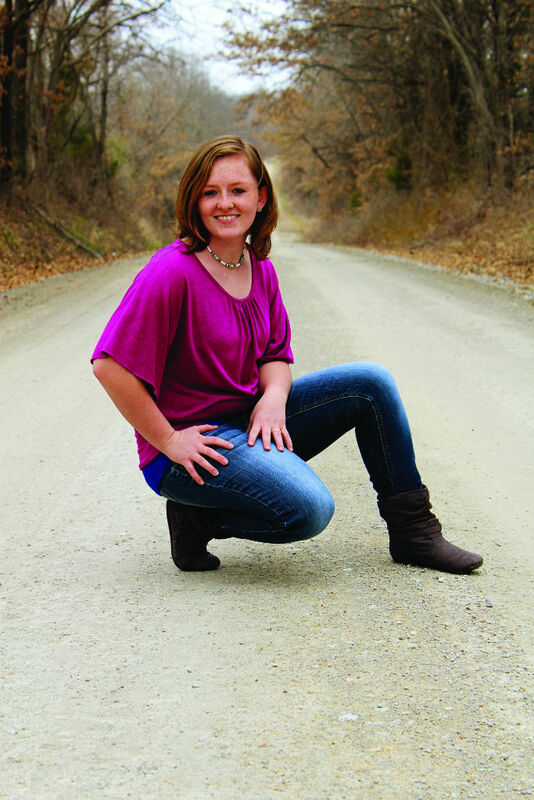 These amazing Seniors were featured on our Facebook page last Fall and will be featured in our May newsletter. 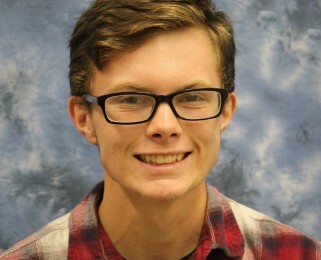 Nate, trained in Criminal Justice through the State Fair VoTech program, will continue his education at the University of Central Missouri. 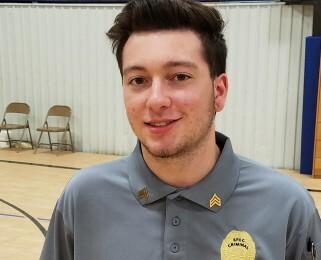 His ultimate career goal is to become a police officer. Amanda will obtain her CNA and enter into a career to make life better for adults with developmental disabilities and other special needs. Nick hasn’t made certain plans for his future, but it will certainly involve mechanics of some sort. 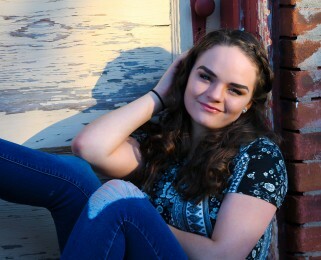 Kerenda, well-known for her kindness and servant’s heart, will obtain her CNA training this summer and desires to serve the great folks at the Missouri Veteran’s Home. 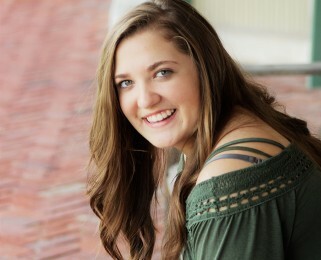 Emily, the biological daughter of Chad (Director) and Jen Puckett, has been accepted at the College of the Ozarks to study nursing and fulfill her life-long dream of becoming a Labor and Delivery Nurse. 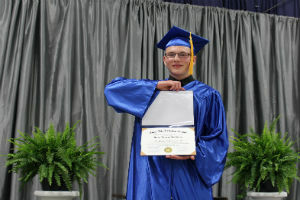 Dante, very mechanically inclined, has been accepted to the Missouri Technical College in Linn. He intends to become a Precision Machinist. Journey has been accepted to the University of Central Missouri in Warrensburg to complete her education in Graphic Design. Her incredible talent will lead her to an incredible career. 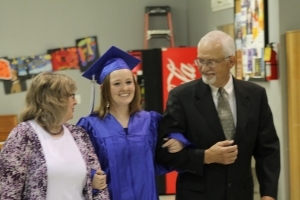 Cassie, the biological daughter of Charles (Assistant Director) and Jodi (School Administrator) Watkins, will attend Missouri Southern in Joplin to become a teacher and coach. The past few weeks have been busy for the students and teachers of the Show-Me Christian School. We have celebrated both their academic and athletic accomplishments from the past year. Nearly all of our students participate in organized sports here at our main campus in La Monte. This past year, we had teams that competed in Girls Volleyball, Boys and Girls Basketball, Archery, Track & Field, and Girls Softball. Our annual athletic banquet honored all of the hard work each of our athletes put in throughout the year. 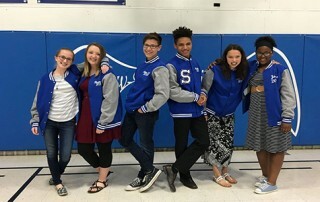 Some of our feature awards were: giving out six new varsity letter jackets, scholar athlete awards, given to students who participated in three sports while maintaining a 3.0 grade average, and we honored our Girls State Champion Track & Field Team from 2017 with a special commemorative plaque. 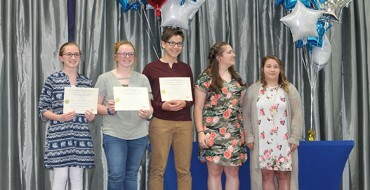 We also honored all of our students at our annual academic banquet. 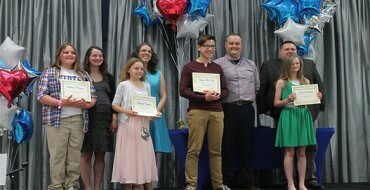 During this banquet, each student is recognized with a Christ-like character trait. Teachers evaluate each student’s performance throughout the year, choosing the trait that the student most showed throughout the year. Each student really looks forward to hearing the trait each of their teachers sees in them. 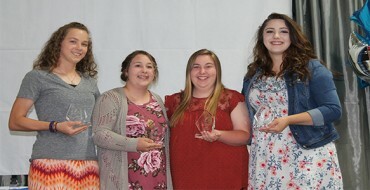 Some of the other honors given throughout the evening include: Supervisor’s Student award, given to the highest performing student in each classroom, three new inductions into the National Christian Honor Society, given to high school students who achieve not only high grades, but maintain high character, and Bible Memorization medals are given to students who memorized every monthly memory verses. 41 out of 45 of our students earned this medal. We are proud of all of our kids, and all of their God-given talents! We cannot wait to see what the next school year holds. 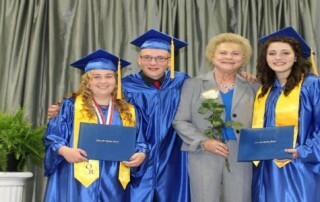 Each of these young adults have earned their Path to Purpose diplomas. By achieving this milestone, each graduate will have access to $500 in emergency funds, assistance in purchasing their first vehicle, and whatever ongoing support they need to keep their momentum moving in the right direction. The Next Chapter: Become a PreMed student majoring in Biology at The College of the Ozarks. After college, I plan to continue onto Med School to become a Pediatrician and eventually travel as a medical missionary. The Next Chapter: Attend Missouri Southern State University majoring in Early Childhood Education to one day become a Kindergarten teacher and Volleyball coach. Congratulations to our 2015 graduates! 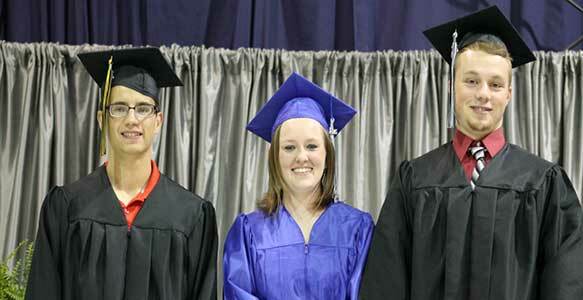 In addition to earning their high school diploma, these students have also graduated from our Path to Purpose program. By achieving this milestone, each graduate will have access to $500 in emergency funds, assistance in purchasing their first vehicle, and whatever ongoing support they need to keep their momentum going in the right direction. Jessica graduated from the Show-Me Christian School. She lived at our Emerald Ranch Unit near Goodman, Missouri. She hopes to launch directly into a career working as a veterinary assistant. Her job-shadow with a veterinarian cemented her interest in working with animals. Continuing to help on the ranch, she will live nearby to her Hurley family relying on their encouragement, as well as the support of Show-Me. 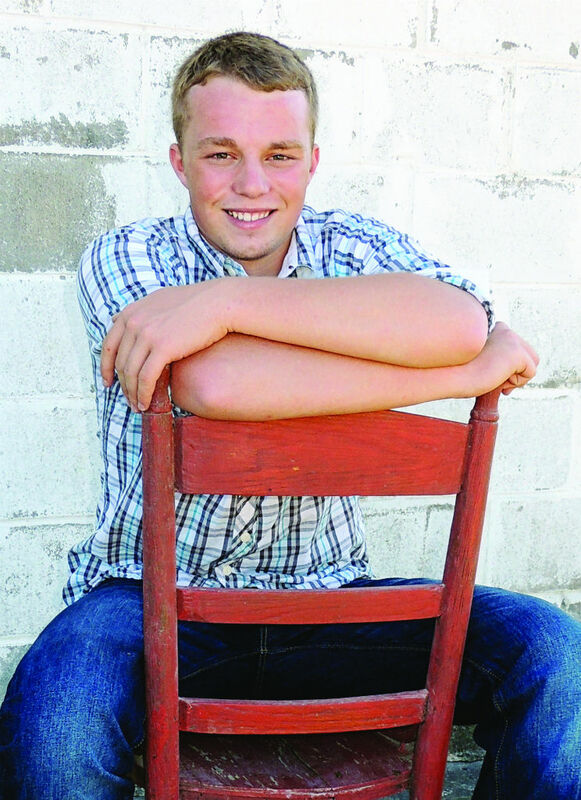 Chris graduated from Grundy County High School. 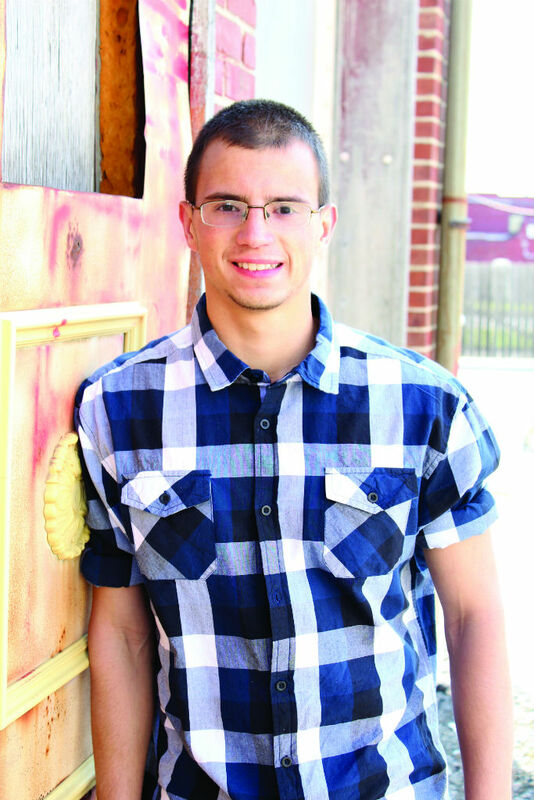 He will continue to live at our Hubble Home in Galt, Missouri while he attends Grand River Technical School to become certified in General Building Trades. He then will go on to college to get a degree in General Construction. The Path to Purpose program will allow him to continue to apprentice with housedad, Chris Novak, learning mechanics and building skills. Steven graduated from La Monte High School, which allowed him to be part of the Building Trades Vo-Tech program. 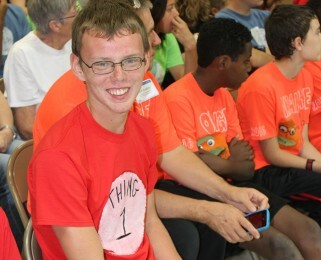 He placed second at the Missouri SkillUSA competition in Carpentry and has won awards for his artwork. Already serving in the Air Force Reserve, Steven plans to switch to active duty status this summer. His goal is to one day be selected for the Pararescue team, the combat medics of the Air Force Special Forces. For many of the 2,000 children who have called Show-Me “home,” the path that brought them here was treacherous—one filled with neglect, fear, and uncertainty. Some have been homeless, some have parents in prison, and some of the kids got in trouble with the law themselves where Show-Me was their only alternative to juvenile detention. For others, their guardians’ just felt like Show-Me could provide them with a better life than they could on their own. Jerrica’s journey is a fairly typical case. She joined our Show-Me family when she was 14 years old. By the time she reached our doors, she had been placed in home after home staying with countless faces. Nothing seemed to work out. “My whole life was a mess. Nobody wanted me. Nobody trusted me. I had burnt all my bridges,” remembers Jerrica. Life at Show-Me wasn’t easy at first. Her rebellious attitude and distrust of everybody and everything made “fitting in” difficult. In her eyes, no one seemed to want her. 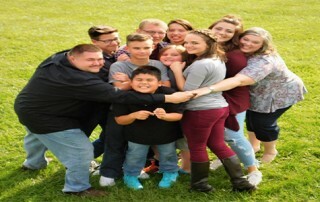 Searching for acceptance, she acted out to try to be “strong” and “hard.” But, her Show-Me houseparents, Jeff and Jessica Weber, would not give up on her. They accepted her for who she was, not how she acted. She became a part of their family providing her with a structure and stability she never had before. That love and guidance changed Jerrica. She began to trust others and with that trust, slowly, came change. Jerrica has now blossomed. 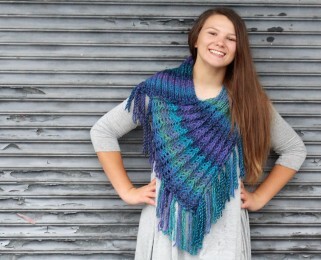 She is active in her youth group, loves to help with the other kids on campus, and always has a smile on her face. 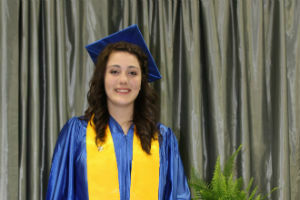 She finished her studies early and will not only graduate, but receive her diploma with honors after managing a 3.5 GPA. Our new Path-to-Purpose program has helped unite her passion for kids with a solid plan and set of resources. 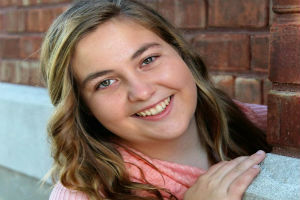 She has earned a number of scholarships and is working this summer at a nearby Christian camp to help with school expenses. 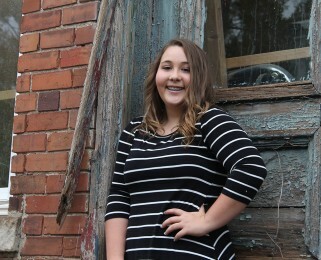 She will start college in August at Central Christian College of the Bible in Moberly, Missouri working toward her degree in Elementary Education. 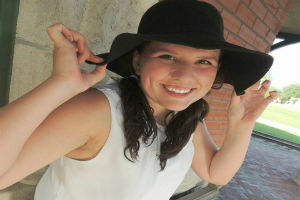 She hopes to teach Second Grade and make a difference in children’s lives.